Will Open Primaries Reduce Polarization? The New York Times printed this op ed by New York Senator Chuck Schumer yesterday, in which Schumer made the familiar claim that to reduce partisan polarization, we should open up party primaries to all voters, regardless of partisan affiliation. In particular, he cites with approval adopting a version of the “top-two primary system” in which “all voters, regardless of party registration, can vote and the top two vote-getters, regardless of party, then enter a runoff.” That’s the system adopted in 2010 in California, in time for this summer’s nominating process there. More generally political scientists have not found much evidence that tinkering with the primary voting rules has much impact on the level of polarization in legislatures (see here and here and here). There seems to be three reasons why open primaries don’t seem, by themselves, to produce more moderate candidates. First, it remains the case that more extreme voters tend to participate in greater proportions even in open primaries. As I’ve noted many times before, political activism and more extreme views go hand-in-hand. 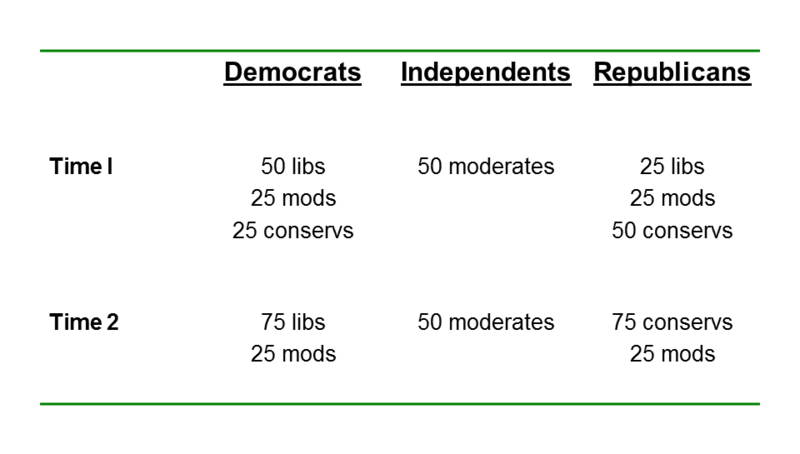 Second, as Seth Masket points out, party activists, who tend to be more ideologically extreme, still control a variety of means, including endorsements, money and campaign expertise, which they can use to help their favored candidates get a leg up in the selection process. 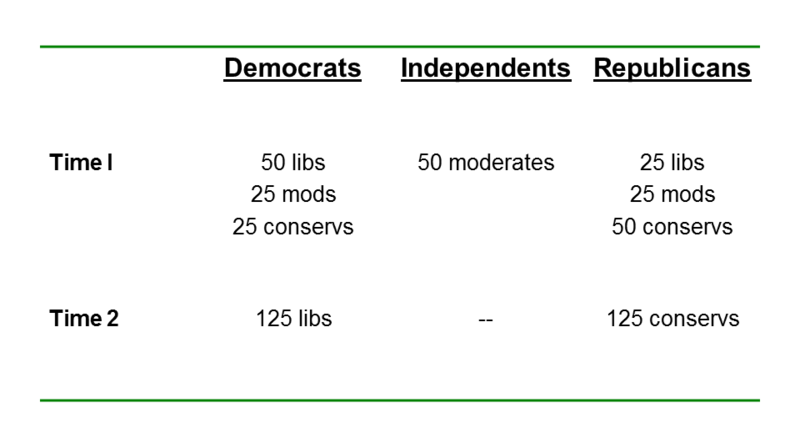 Third, it appears that in the California top-two election process, voters were not always able to distinguish the more ideologically moderate candidate running under a party label. This does not mean the California experiment is a failure – it has only been in place for one and half election cycles, and it may yet produce a more moderate candidate field as voters, and candidates adjust to the new system. But for now, contrary to Schumer’s claim, open primaries do not seem to be the remedy, by themselves, to the hyper-partisanship afflicting our political system. Schumer also cites a second factor that he believes has increased polarization: gerrymandering – the drawing of House district lines in ways that that enhance the reelection prospects of certain candidates. Again, however, the empirical evidence, which I’ve discussed previously, does not support Schumer’s claim. If open primaries and “neutrally”-drawn districts are not going to reduce polarization, then what will? For reforms to work, they need to increase the participation of the more moderate voters in the nominating process. This Bipartisan Policy Study contains a number of recommendations for doing so. Among the electoral reforms, it suggests a common national primary day for all congressional nominating races and easing registration requirements and strengthening outreach to make it more likely that the less politically engaged will vote in primaries. Eliminating caucuses as a means of nominating candidates would also help. Even here, however, without additional institutional reforms, it is unclear just how much these incremental changes will reduce the level of partisan polarization in Congress. But without additional reforms like these, open primaries aren’t likely to do the trick, contrary to what Schumer might believe. UPDATE 7.23.14: Jonathan Bernstein takes on the Schumer proposal in this Bloomberg column and comes to the same conclusion: open primaries will not reduce polarization. The Washington Post’s Dan Balz posted this piece yesterday in which he tries to make sense of what appears to be contradictory evidence regarding whether Americans are becoming more polarized or not. Balz notes, correctly, that in a recent survey Gallup recorded a record high number of Americans – 42% – self-identify as independents. 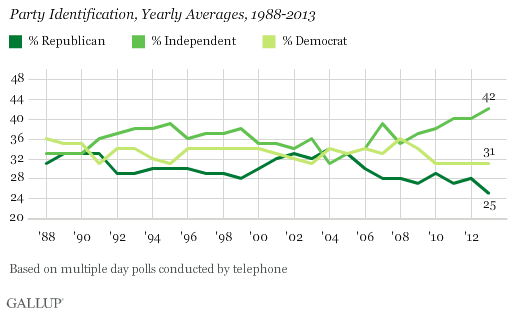 The number of self-identified Democrats and particularly Republicans, meanwhile, is on a downward trend. By now, regular readers should recognize that this seeming contradiction is not a contradiction at all – instead, the data present two sides of the same party sorting coin. Rather than becoming increasingly polarized along partisan lines, Americans are still mostly clustered in the ideological middle, as reflected in the Gallup results showing 4-in-10 self-identifying as independents. However, as I’ve discussed in several previous posts, the parties are also better sorted ideologically. So when moderate voters who may lean in one direction or the other are forced to choose from among two partisan candidates, those choices are increasingly going to break down along party lines as more people view the parties as either purely liberal or purely conservative. Again, and at the risk of kicking a neighing nag, people aren’t more polarized – they are just better sorted into either party. Balz misses this point and instead spends much of the rest of his column drawing on the Pew data to buttress his claim that “The trend toward polarized politics is well documented.” As you know, of course, it is not – indeed, the evidence suggests precisely the opposite conclusion. 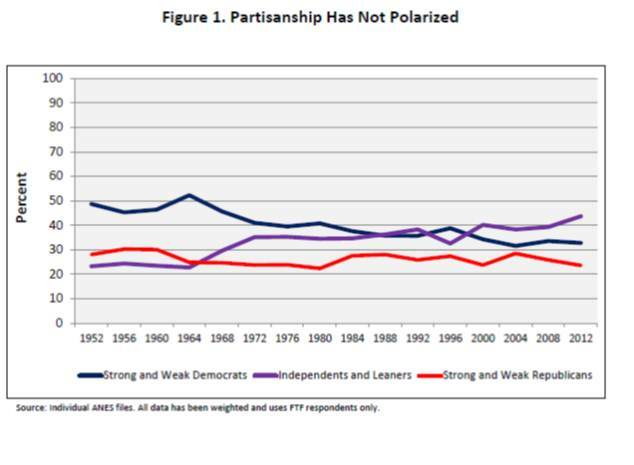 Balz, as did many of those who reported on the Pew findings, mistakes signs of growing ideological consistency among some American as proof that they possess more polarized political views. By now I trust you recognize the difference, but see here if you want a refresher. Near the end of his column, however, Balz does make one very important observation, drawing on input from political scientist Gary Jacobson, that addresses a question I am often asked by students. If so many Americans are clustered near the ideological center, why don’t candidates build on that fact to form a centrist-leaning party? 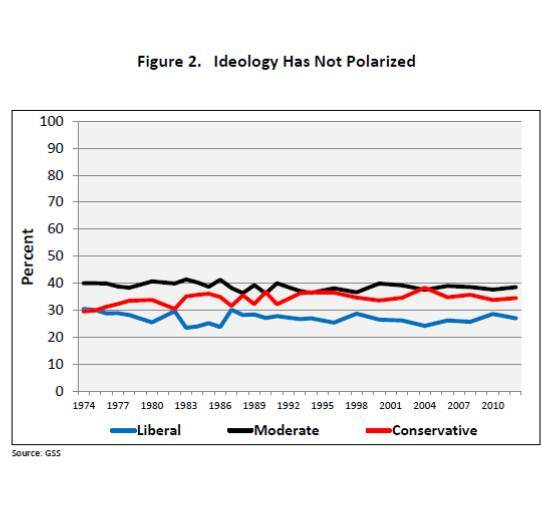 One answer is that moderates tend to be less politically engaged. Moreover, as Jacobson notes, centrist-leaning voters often do not have ideologically uniform views on which to construct a party platform. Instead, they are much more likely to shift their views, and to swing from one party to the other, depending on political context and available choices and candidates. We saw that in 2008, when independents went solidly for Obama, only to turn against the Democratic party in the 2010 midterms. Perhaps the best way to see that Americans remain solidly clustered in the ideological middle is to look at their views on specific policy issues. As we shall see, when asked to choose among policy options, most Americans on most issues stake out rather centrist views. I’ll take on that challenge tomorrow. Meanwhile, a quick word of thanks to all of you who offered great ideas regarding the Christian Science Monitor/Presidential Power logo. 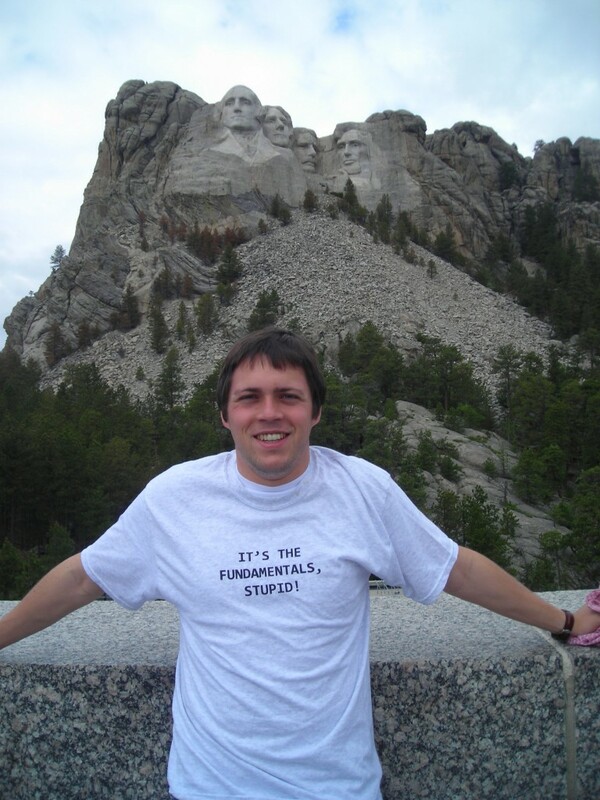 Some of the better suggestions included: Air Force One; Mt. Rushmore (one version had it painted green to represent Vermont); the Oval Office desk (adorned with a “the buck stops here” plaque); the Presidential Seal; and a silhouette of a famous president. (Here I’m partial to one of FDR, with his cigarette holder held at a jaunty angle!) In the end, the CMS editor like the idea proposed by Olivier Knox: a graphic of Article II of the Constitution which, as you know, outlines the executive powers. It will look something like this, although the CMS graphic team is working on the final version. Thanks again for all your suggestions, and have a great Sunday!